At the Piatchek Law Firm, our attorneys handle a wide variety of real estate and property law issues. All of our attorneys practice some aspects of real estate law, because real estate concepts come up often in almost all other areas of the law, and a solid understanding of real estate law is crucial. We are proud to say that we are a “full-service law firm,” and we believe that our pooled knowledge of many areas of the law improves our service to our clients, especially in regard to real estate law. What areas of the law don’t involve real estate in some way? 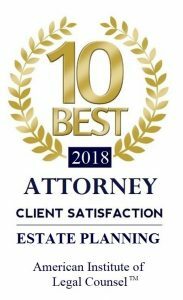 Divorce and family law, for example, often involve the negotiation, litigation, and sale of real estate; estate planning and asset protection involve the protection, shielding, and transfer of real estate; business law involves the renting or owning of real estate by businesses; and the list goes on. Our comprehensive knowledge of many areas of the law makes us better real estate lawyers. Our knowledge of real estate, in turn, improves our other areas of practice. From simple matters, such as creating beneficiary deeds and lease agreements, to more complex issues like foreclosure and real estate litigation, we are happy to assist our clients with all real estate matters. Generally speaking, real estate law can be divided into two common areas of concern: transactions and litigation. If you have any questions regarding real estate law or you want to set up an appointment to discuss your concerns, call us any time at 417-882-5858. We would be happy to arrange a confidential consultation for you with one of our caring, experienced and compassionate attorneys. Evening and weekend appointments are available upon request, and we can arrange a home visit if you are unable to travel to our offices.